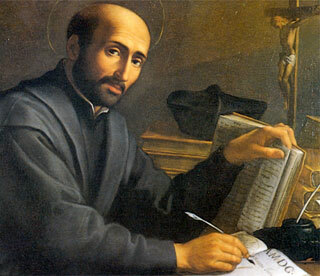 I recently supplied the International Catholic Stewardship Council with a reflection on St. Ignatius of Loyola, a great stewardship saint, for a newsletter of theirs. I got teased a little by the Executive Director, Michael Murphy, because he reminded me that Our Lady was held up in the US Bishop’s document on stewardship as the primary stewardship saint. Of course, I knew that, and perhaps my admiration for St. Ignatius seemed a bit strong in the essay, it’s hard because his spirituality speaks to me so. Our further conversation led me to say that I could have just as easily written about St. Francis De Sales as a my example of a great stewardship saint. The reality is that there are many saints that would make excellent role models and patron saints for someone trying to live the stewardship way of life. There are also great examples of stewardship living among those not yet recognized by the Church as “saints.” St. Francis of Assisi, St. Katherine Drexel, St. Therese of Lisieux, Blessed Mother Teresa, Archbishop Oscar Romero, Dorothy Day, and Catherine Doherty are all names that readily come to my mind. These are great role models of people who sought to give all they had back to God in gratitude and with increase. There are always those who say that it is so difficult to successfully lead a stewardship way of life, yet there are really so many good examples of people who have done just that. In addition to those who have gone before us, there are those in our midst that exemplify such a way of life. Of course, Pope Francis is an easy example to choose. But, I am talking about people in our parishes and families. If we really look with the eyes of faith, we can see people all the time that we know who live lives of mature discipleship, giving of themselves no matter the cost. They see themselves as simply being entrusted with gifts that truly belong to their Creator and they hold tightly to nothing in this world. So, who is your stewardship patron saint? Do you have one? Is there someone deceased or alive that you can model your stewardship spirituality around? Take the time to study about the lives of the saints. Also, take the time to reflect on the lives of those around you. Maybe pick a patron saint and a living role model. Then you will have someone to pray to for intercession and someone with whom to walk the journey. Remember, you were not created to be alone, but instead in community. In the communion of saints there are many willing and able to help show you the way. The journey is always easier with someone to help lead the way.